I don’t usually do much sports but when I do, I wear a pair of Panache sports bra. This sports bra is quite wonderful. 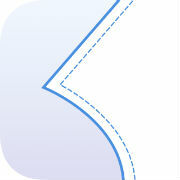 It is an encapsulated type, which means that each breast is supported individually. The bra is double layered so all the the seams are enclosed between the layers. Since I only have one pair of sports bra, this pair deteriorated rather quickly although I only wear it for a short time about twice a week. I’ve ordered another one but I wonder if I can make myself a pair of decent sports bra. I took apart my old Panache to see how it was constructed. So, what makes a bra a sports bra? The outer layer has mesh fabric in the center front and stretchy wicking materials for the rest. This layer acts as a cover and attached to the inside layer along the outer edges. All the seams are enclosed between the outer and inside layers. On the inside layer, the bridge and frame are made of absorbent jersey underlined with non stretch mesh. The back band is powernet, strengthened by the wicking material on the outer layer. 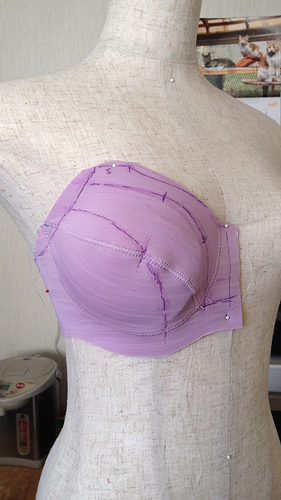 The bra has foam cups, all the edges of the cups reinforced with a strip of interfacing. The underwires are enclosed in a wide casing that has silicone cushioning inside. The bra has wide elastic (13 mm) on the bottom edges, the stitches that hold the elastic can only be seen from the inside. The upper edges are finished with foldover elastic. The straps are shaped and padded, connected to the 2 cm width back straps. The straps can also be hooked on the back to make it a racerback. The hook and eye parts are thicker with extra cushioning. 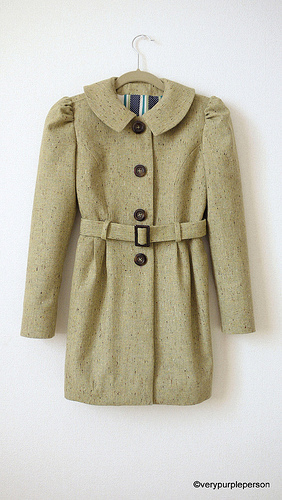 I think both layers are first constructed individually, then joined along the bottom edges with the wide elastic. 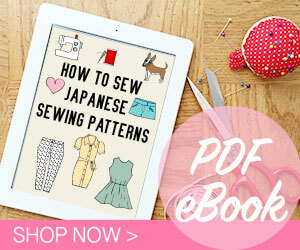 The elastic then topstitched on the inside layer with zigzag stitches. The outer layer is folded up to cover the inside layer and basted along the top edges of the cups and band. The top edges of the front are finished with foldover elastic and the covered straps are then attached to the bra. Next, foldover elastics are applied along the padded straps and bra band. 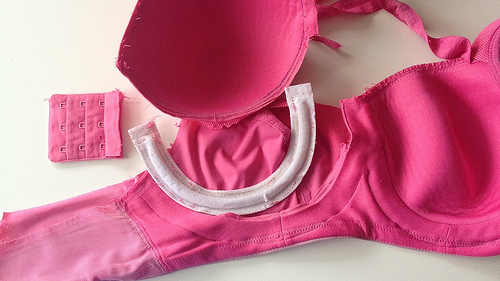 In addition to the drafting, materials and construction techniques are very important in a sports bra. Some of these materials are somewhat difficult to find. 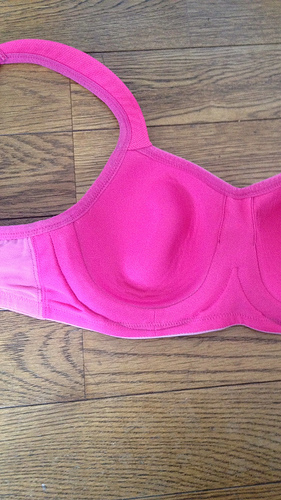 I’ve never found the silicone cushioned underwire casing or the cushioned hook and eye parts. But I guess these can be eliminated or alternated by other materials. Otherwise I can reuse the parts of my Panache bra. The Panache bra has different drafting for the inside layer and the outer layer. The inside layer has cup seamlines and the outer layer is only a cover. I plan to make mine in the same way. 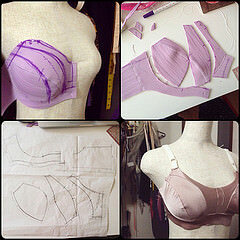 I started working on the outer layer by making a foam muslin with my Pin-Up Girls bra pattern. The Bra-makers Manual Volume 1 by Beverly Johnson has a chapter on drafting a sports bra using this manner. 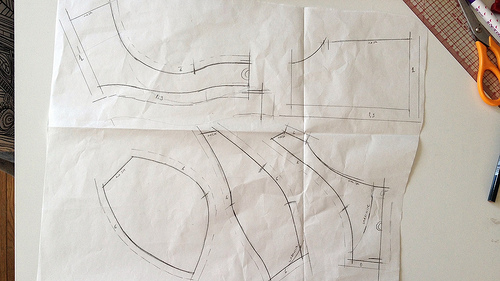 After drawing my design lines on the foam muslin, I cut them up and traced the pieces to paper. 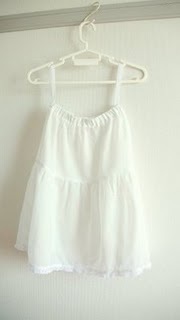 This is my first muslin made with the paper pattern. The seam allowances are not trimmed yet, thus the cup wrinkles. I might move the straps a bit closer to the center front later but otherwise it looks quite good! In fact it can also work for a simple single layered sports bra without all the complicated things inside. 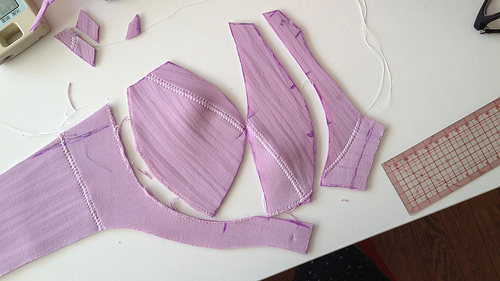 Next I will continue perfecting the drafting and started to research some materials for the sports bra!